Against the Current interviewed Alice Ragland, who has been central to organizing Black youth in Cleveland in response the police murder of Tamir Rice, the 12-year old shot to death two seconds after the police arrived at the park where Rice was playing with a toy gun. 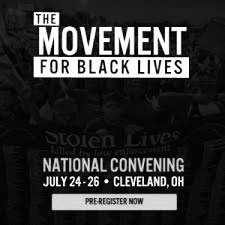 The Movement for Black Lives National Convening will be held in Cleveland July 24-26. Groups scheduled to attend include Cleveland Action, Ferguson Action, and Million Hoodies Movement for Justice, among many others. Against the Current: Black Lives Matter utilizes social media to communicate your message. How does that amplify your voices? Alice Ragland: Using social media helps us get our voices to the millions (and billions) of people who are outside our city. It allows people in Pakistan, China, Spain, and all over the world to follow what’s happening in the United States. More importantly, it allows people to see that the issues that we face are not singular. The problems of occupation, state violence, and systemic oppression of marginalized groups exist all over the world. I can get on Twitter and see young people protesting in other countries, not only for the improvement of their own conditions, but also in solidarity with the Black Lives Matter movement. This lets me know that the world is watching and that people from around the world know wrong when they see it. It helps me feel connected to people fighting for freedom and justice worldwide. ATC: Although Black women have been central to the organizing of Black Lives Matter, it seems that the media focus on Black men and forgets the victimization that is imposed on Black women. How do you deal with this? AR: Ignoring the Black women who have been victimized is unacceptable. This is one of the many problems that make me feel as if I constantly have to choose between my race and my gender. I deal with this by being vocal about the importance of including Black women in the discourse of violence against communities of color. Too often, people fall into a one-dimensional analysis of oppression. It’s either racism or sexism or class inequality that’s causing our problems, never a combination of various forms of oppression. This is partially a result of the fact that U.S. society educates and socializes people to believe that everything exists in a vacuum and that nothing is connected. We need to start focusing on the inter-connectivity of race, gender, class, etc., because all of those factors are simultaneously influencing our lives at all times. Emphasizing the connectedness of these issues is a necessary step toward acknowledging intersectionality. Black women have been invisible in these conversations because the compartmentalized way of thinking that is so prevalent in capitalist societies makes it difficult to grasp the concept of intersectionality. I wrote my Master’s Thesis on the invisibility of Black women, and my major recommendation to combat this invisibility was to call it out–to make people realize when they are ignoring the existence and experiences of Black women. We must also call out all sexism in the movement and work to educate people about their implicit bias, which leads to the micro-aggressions and outward displays of sexism and/or racism that can make us feel invisible. ATC: What are your hopes for the movement? AR: My main hope is to change the systems of oppression that result in unjustified and unpunished state violence against people of color. This issue dates back to centuries of disregard for the lives of Black people. Consent decrees, reforms and other band-aid solutions will not do anything to change a society that was built on racism and the exploitation of human beings. We need a dramatic shift in the structures that perpetuate this injustice, and I hope that this movement will make that apparent. Alice Ragland is an organizer in Cleveland, OH, the host city for the Movement for Black Lives National Convening. no matter what you do, i think it will stay there in some corner and will keep coming now and then. and if we succeed in making this change then it would certainly be called a miracle!